Vegan, organic natural baby balm. Made in the UK. Plastic-free packaging. A gentle, completely natural way to soothe and hydrate skin. Use as a nappy balm or dry skin balm. Apply to baby's bottoms, and dry skin patches. 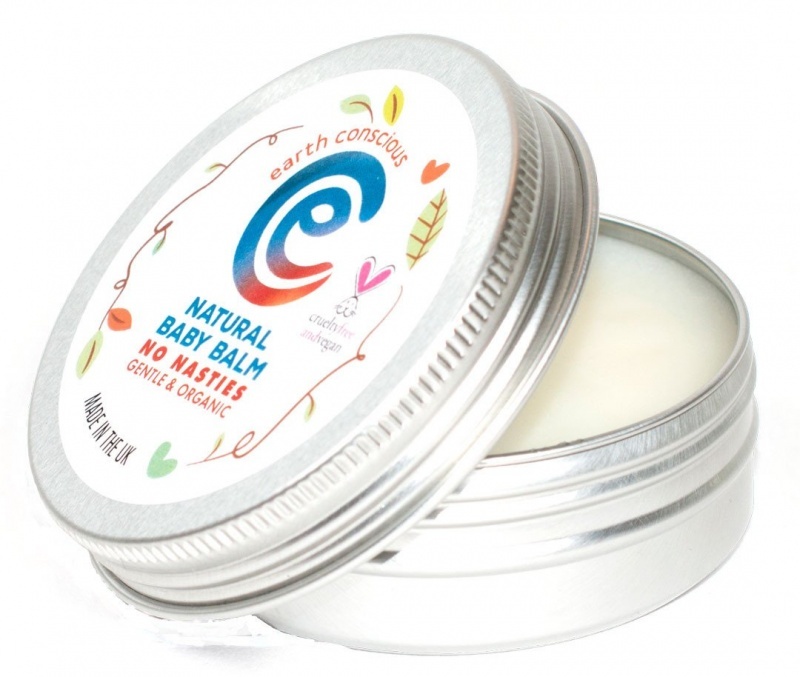 The Earth Conscious Natural Baby Balm formula uses skin protecting natural ingredients which may help to prevent nappy rash. All the ingredients work towards keeping skin soft and moisturised. It makes the perfect balm for baby bottoms but can equally be used by Mum too! Coconut Oil melts easily into skin making it great for dry, itchy or sensitive skin. Shea Butter helps retain moisture and elasticity. Apricot Kernel Oil is an all round emollient ideal for use on inflamed skin. Jojoba is a natural compound most similar to human skin oil thus providing a balancing element to the balm formula. If irritation occurs discontinue use. Do not use on broken skin. Avoid eye area.